Many parents seem to be unsure about how to teach their children good money habits, unwilling, too busy, or some combination thereof. Teaching your child good money habits early on can have a positive, lifelong effect. Don’t be shy about bringing up the topic. Here are few tips to get you over the hump. 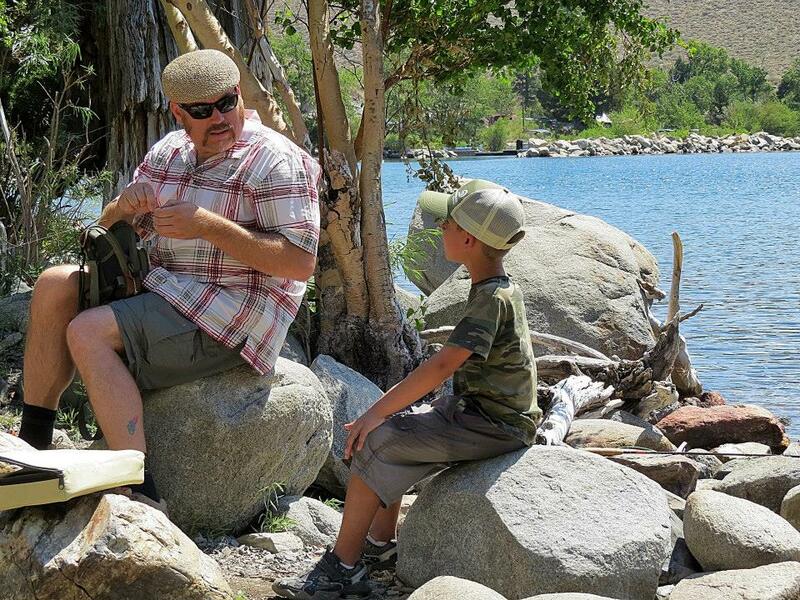 No doubt I was imparting vital knowledge to my youngest nephew, Kendall. Set up an account just for them! Visit your local bank with your child and find out what is available for minors. Many states and banks offer various account types and have differing regulations covering accounts for minors. Generally speaking, banks may require at least one parent or guardian to be a joint account holder. Teach them how to use their account, how to safeguard their account, and why it is important to have an account and be responsible. If your child is a teen, and already working or about to start work, they will likely need an account. Develop a strategy. Be it allowance, earnings from work, odd jobs, or even gift money for holidays and birthdays, start early teaching your child to save part, spend part, and share part. Many children in our consumerist society will spend every penny they receive unless this lesson is taught early. Reach an agreement that your child will for example, save 70%, spend 20%, and share 10% of their income. You and your child have to reach the right percentage, but try to get them saving the bulk of their money early on. The spend category can be just for them and let them spend it on what they feel they need. When it comes to sharing, this can be as simple as letting your child buy the family a pizza for pizza night, or treat their friends to a movie ticket, or making a contribution to a charity. It doesn’t have to be extravagant, but instill the concept of sharing. Talk about money. Encourage your child to be curious and ask questions about money. At the same time, be honest if they come up with a particularly difficult question to which you don’t know the answer. Tell them you are not sure and say, “let’s find out” and teach them how to seek advice or research the answer. Show them the different forms of currency we use today. If they encounter a variety of money from physical cash, gift cards, electronic transfers, etc., they will have a better understanding and know that it all has value although it is in different forms. There are lots of ways for children to learn about, and earn, money these days. Allowances are still common, but so is working odd jobs or even part-time jobs once they are old enough. Once they get the basics down, move on to more advanced topics like investing, qualified plans through employers (like 401(k) plans), and even stock. Some families teach this lesson by explaining their own employer’s retirement plan. You can also offer your children a chance to earn more money by setting up your own 401(k)-style matching plan for their allowance. I don’t mean a formal, qualified plan, but let your kids know that if they, for example, complete additional chores or improve grades they can earn a “match” to their allowance. Agree on a percentage in advance and document it. This extra match amount should go into their long-term savings.